High Pressure Processing (HPP) has been used commercially for over 15 years in the United States as well as other parts of the world and it is growing at a very impressive rate. Like we mentioned in our previous blog article “Beverage products consolidates as the fastest growing HPP sector in the world” ; Consumers’ demand for HPP beverages (cold-pressed juices, wellness shots, cold-brew coffee or tea, and more) is increasing because their unique attributes in terms of flavor, nutritional quality and freshness. This is the fastest-growing sector, representing 390 million liters worldwide (around 30 % of global HPP food production). 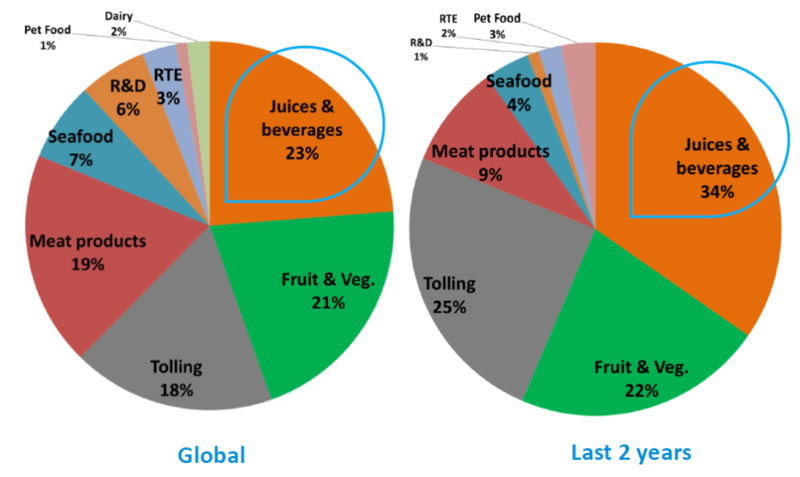 How does the HPP Beverage Sector Looks like in 2019? It is true that the first category in the beverage sector to benefit from HPP Technology was the Cold-Pressed Juice category. With companies like Suja and Evolution Fresh taking fly, most brands followed due to the great benefits that the technology brings. A few years later, the beverage industry landscape has definitely shifted and new categories have emerged due to consumer demands. We currently are in an era that functionality and super ingredients are in charge. In consequence, very innovative products and brands making a difference while using High Pressure Processing have come to the light. Origin Almond ® was founded by Jake Deleon with one goal in mind, to combat the #1 enemy to public health: excess sugar. According to Mintel Market Research, 50% of consumers are actively reducing their sugar intake due to health & wellness concerns with millennials leading the change. The sugar reduction trend is also affecting how people eat and shop as 81% of consumers are always checking the sugar content of the beverages and food that they purchase. With his love of food and passion for healthy living he developed a line of cold-pressed almond juices which offer all the goodness & nutrients of cold-pressed fruit juices minus all the sugar & carbs. Jake uses ingredients such as sprouted organic almonds, plant-based super-foods and potent adaptogens and does not include any added sugar into any of their recipes. The company was able to achieve the low-sugar nutritional profile of its products by cold-pressing almonds, instead of sugary fruits. The result is a delicious cold-pressed juice beverage that are naturally, low sugar (1-4g of sugar per entire bottle), low carb & lower calorie vs. most fruit-based premium juices. Lemon Ginger 360° Cleanse, a modern and leaner twist on the traditional lemon, ginger and cayenne juice cleanse. Just 1 g sugar per bottle. Ginger & Turmeric Golden-Milk, a delicious turmeric and ginger powered elixir for plant-based wellness and rejuvenation. Just 3 g sugar per bottle. Thai Coconut Piña Colada, a guilt-free tropical coconut refresher with notes of pineapple and vanilla. Just 4 g of sugar per bottle. Super Greens 4, the iconic green juice reimagined that features a blend of four super greens sourced from earth and ocean. Just 3 g of sugar per bottle. Iced Lemon Chai Spice, clean and light refreshment with fragrant Masala Chai spices and a burst of bright lemon. Just 3 g of sugar per bottle. 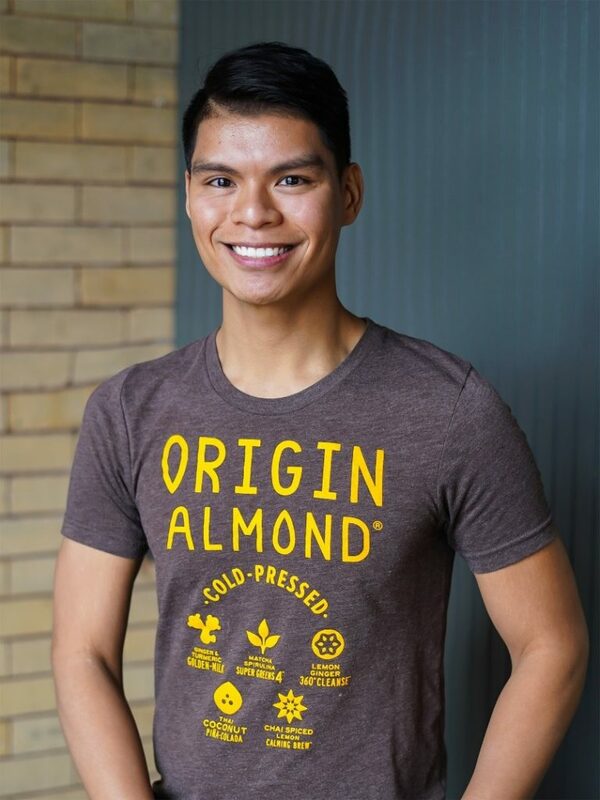 Thanks to their unique concept, market successes, and delicious product that uses HPP, Origin Almond received investment & mentorship by The Kraft Heinz Company under its incubator arm, Springboard Brands. This Springboard platform is dedicated to scaling and accelerating emerging, high-potential food and beverage brands. 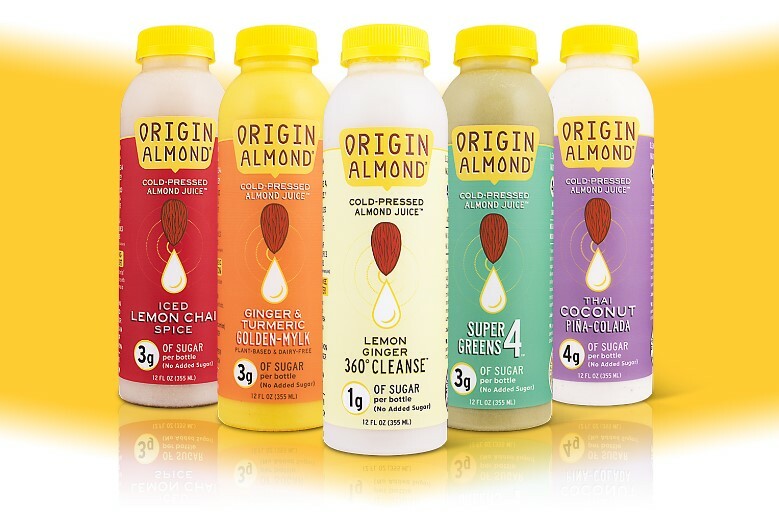 “Kraft Heinz believes in Origin Almond’s mission to reinvent premium juice. We see that more consumers are becoming aware of the hidden sugars found in perceived healthy foods like fruit juices, and have shunned them altogether”, said Jake Deleon, founder & CEO of Origin Almond. “As an entrepreneur who has also struggled with childhood obesity, I am excited to work with the Kraft Heinz team to nurture & scale our better-for-you innovation of a low-sugar, juice alternative that will disrupt the category and reignite the love for premium juices with a delicious product that is more nutritionally relevant”. How does Origin Almond use High Pressure Processing (HPP)? As we know, Jake and Origin Almond use the technology for many great reasons. High Pressure Technology, is not really a novel technology anymore that is unattainable and only for brands that purchase their own equipment. It is very much available through Hiperbaric HPP Tolling network which is the largest in the world with over 50 machines and with locations in both East Coast and West Coast of the United States. This business model makes sense because it allows any food or beverage manufacturer to have access to industrial HPP equipment without the need of directly investing capital in the purchase of Hiperbaric technology. Instead, they simply pay for the use of existing HPP industrial plants offering this service on a toll basis. HPP Tolling is one of the reasons why High Pressure Technology is becoming more mainstream and brands like Origin Almond have been able to utilize the technology for their growth and benefits. The relationship between an HPP Tolling company and a food and beverage brand is very important and we have many success stories and examples of these fruitful relationships. Dora’s Naturals is a privately owned distributor of natural and organic perishable product. They are part of a family of companies that are all family owned which also include Mountainside Farms and Steuben Foods. Dora’s is equipped as a full service distributor solution with co-packing and HPP capabilities. They also deliver to over 4,000 store locations on the East Coast in the most effective way delivering to both high volume channels and small independent accounts. Dora’s is a success case of their own. They first started with a Hiperbaric 55 which is our entry level model and have growth to acquiring a Hiperbaric 525 model which is the largest in the HPP market all within 2 years. As a leading food and beverage manufacturer and distributor of organic and perishable products and their unique access to the market with over 4,000 New York Metro retailers, they are able to provide warehousing, distribution, logistics, copacking and HPP all under one roof. Dora’s Naturals and Origin Almond: To infinity and beyond! For Hiperbaric it is of great satisfaction to see two brands with different purposes being united by High Pressure Processing. 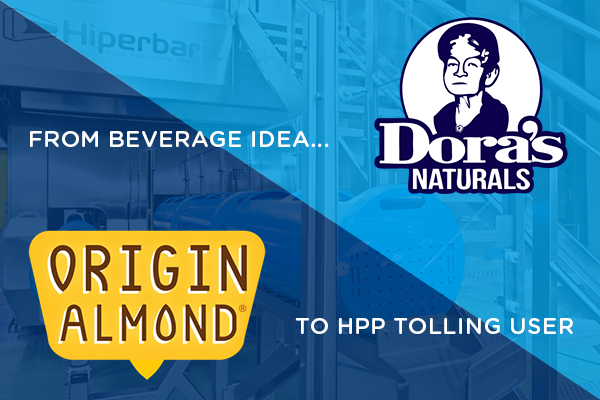 Origin Almond uses Dora’s Naturals, both located in the Northeast USA, for its HPP Tolling services for its products. 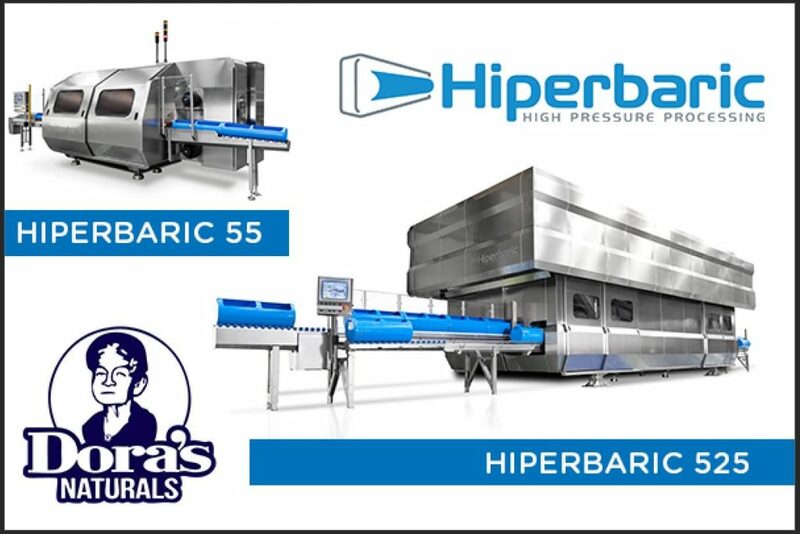 Hiperbaric is the world leading company for High Pressure Processing (HPP) technology and we support both HPP Tolling companies as well as the brands that utilize these services. 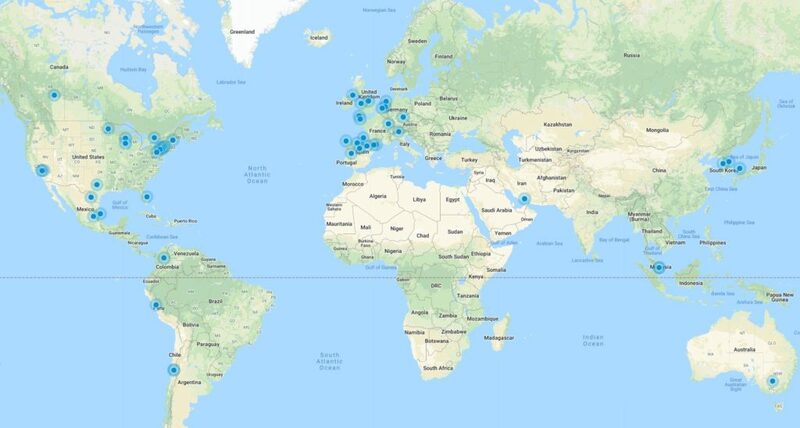 There are over 35 companies worldwide trusting in Hiperbaric for the HPP tolling business model and an incredible amount of companies benefiting of these services. If you would like to learn more about our extensive tolling network or want to be connected to one do not hesitate to reach out to us.